NICOLE RICHIE NEWS: Nicole Richie is Jenny from the block! 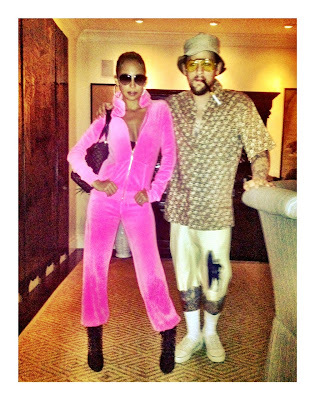 Nicole Richie is Jenny from the block! Nicole Richie attended Kate Hudson's Halloween bash last night (October 29th) held at her LA home. Nicole Richie opted for a pink velour tracksuit, aviator shades, large hooped earrings and a pair of stiletto style boots = Jennifer Lopez circa 2001. Above image courtesy of Los Madden. 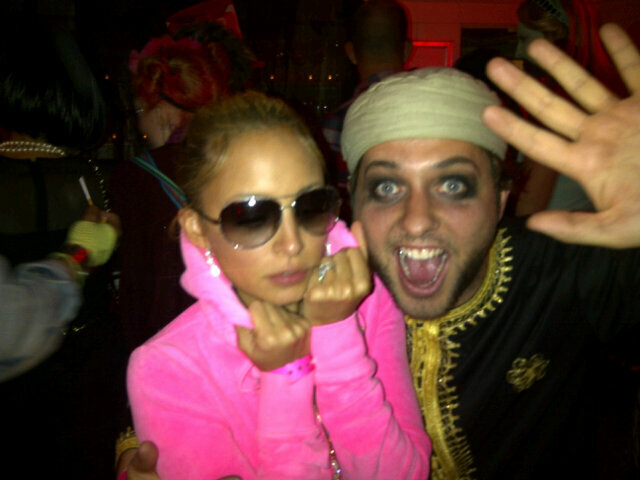 Derek Blasberg shared this picture on Twitter of himself and JLO aka Nicole Richie, at Kate Hudson's Halloween party. Img source - Los Madden,Twitter & popsugar.